The Ottawa Visitor Center, located about 8 miles east of the Sylvania Entrance Station, in Watersmeet MI, is the primary visitor center for the Ottawa National Forest. 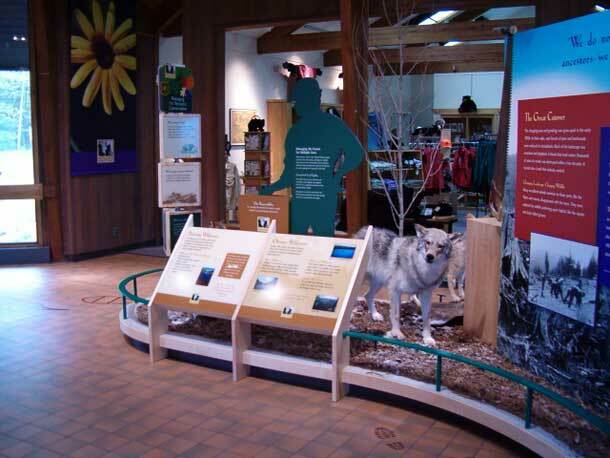 It features exhibits about the natural history of the forest as well as a nature trail. Interpretive programs and films are offered throughout the year. Free lectures on a variety of nature topics are presented on Thursday evenings in June, July, and August. The Ottawa Interpretive Association, a nonprofit organization, has a sales outlet in the visitor center. The net profits generated from the sale of environmental books and related items, contributions, and membership fees are used to fund interpretive and educational projects.